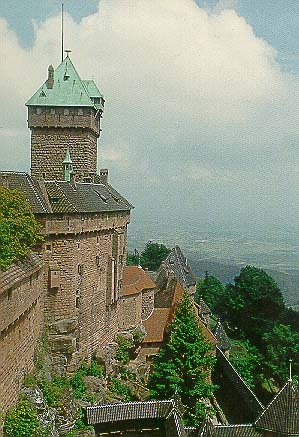 The Castle of High-Koenigsberg in Alsace is located at an altitude of 757 meters. 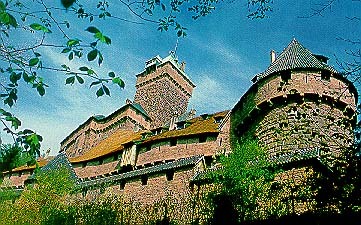 It is one of the most impressive castles in a series of massive medieval keeps that include Falkenstein, Waldeck, Wasenbourg, etc. It has also been used as a location for a number of historical films and television series.